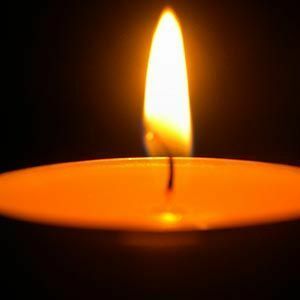 Kenneth G. King, age 67, of Iron Ridge passed away unexpectedly on Thursday, March 14, 2019 at his home. A celebration of Kenneth's life will be held on Sunday, March 24 from 12-3 p.m. at the Iron Ridge Community Center. Ken was born the son of Theodore and Hildegard (Bath) King on June 14, 1951. He was united in marriage to Bonnie Singer on July 12, 1997 in Port Washington. Ken had worked as a supervisor at Kelch. He was an avid outdoorsman and enjoyed hunting, fishing, and camping and he was known as a great camp chef. Ken loved to visit with his family and friends and will be fondly remembered for always being there to lend a hand. Ken was survived by his loving wife- Bonnie of Iron Ridge. His sons- Kenneth Allen King of Iron Ridge, Scott Lee (Kelli) King of Red Wing, MN., and Samuel Everett King of Iron Ridge. His grandchildren- Matthew, Daniel, and Rebecca. His siblings- Donald (Ellen) King of Princeton, Sharon King of Algoma, Shirley (Doug) Repinski of Sheboygan, Tina Laurence of Green Bay, and Rose (Clint) Wooten of Springfield, TN. He was preceded in death by his parents, sister Debbie Laurence and brother Johnny Holland. Special thanks to the Dodge County Sheriff's Department and the Mayville and Iron Ridge EMS for their care and support. Add your thoughts, prayers or a condolence to Kenneth G.'s guestbook.